As fans, people tend to view matters through a very narrow and focused lens that is trained on their chosen club. It is all us and them; black or white; right or wrong. The fine detail, that which enriches the tapestry of the game, tends to be lost to them. It is only when their attention is directed to these stories that they get to notice and appreciate them. And those are the stories that I've tried to tell in Il Re Calcio. Discovering and then bringing back to life the story of a player whose achievements had been forgotten or that of a manager whose reputation has diminished with the passing of time is, for me, the writing that really matters. I felt that it was important to tell the story of Emiliano Mondonico, a truly great coach not because of what he won but because of his humanity, passion and utmost belief in the value of hard work. So too for Osvaldo Bagnoli, a man who worked a miracle in taking an unfashionable side like Verona to the title. Other stories are probably slightly better known. Dario Hubner defied expectations by finishing top scorer alongside David Trezeguet whilst Jair scored the winner in a European Cup Final. As the name of the book suggest Il Re Calcio, football truly is the king of all games because only it can provide so many stories from individuals with such diverse backgrounds. The stories contained in this book should help illustrate this. Should you be looking for a pattern in the stories featured, don’t. Most of the people I talk about in this book are men whose achievements and actions had made a lasting impression on me. There is no common thread linking the ten stories other than that each one of them seemed to me as being worth telling. I’ve been lucky in that for some of them I got to talk to the individuals involved or else someone close to them. For those stories where this wasn’t possible, I tried to read as many interviews as possible to retell the story as faithfully as I could. In all cases the ultimate aim was the same; that of bringing these stories to life and to an audience that probably wouldn’t have gotten to know about them. If you’re in that audience (which is something of a given if you’re reading this), then I sincerely hope that you enjoy what you’re about to read. One word of warning however: this isn’t a long book seeing that it features just ten stories (and approximately 20,000 words) but the price of this e-book reflects that and, I strongly believe, the quality more than makes up for the lack of quantity. 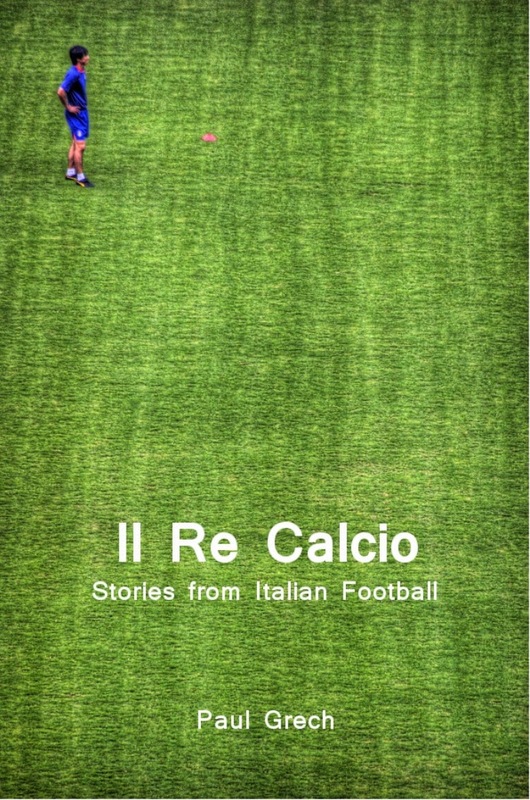 For those who read their books on Kindles, Il Re Calcio is available in all Amazon stores, particularly the US and UK ones. Those who would like to get a PDF copy or have another reader can buy Il Re Calcio for the same price from Payhip.